If you were recently involved in an auto accident that required the Frisco Police Department, you have several options to access your Frisco car accident report. You may either request the accident report in-person, through the mail or online. We’ll get your FPD accident report for you. 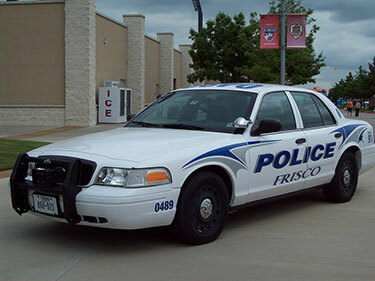 Just provide the details of your accident, and we’ll track down your Frisco police accident report and email it to you. Here, you will need to fill out and present the Crash Report Request Form, along with a payment of $6. If you are paying by check you must make the check payable to the City of Frisco. Be sure to include the crash report form along with a payment of $6. The Texas Department of Transportation (TxDot) allows you to find a crash report online and can be found here. In addition, the LexisNexis portal offers Frisco accident reports for $9. However, you cannot purchase a certified version of the Frisco accident report if you use the LexisNexis portal. Another option is the Driver’s Crash Report (also known as a CR-2 or “blue form”) and this is if the Frisco Police Department did not investigate your car accident. It is important to note, TxDot and the Driver’s Crash Report (“blue form”) both cost $6 when you purchase online and both offers certified copies (for an additional fee) of the Frisco accident report. If you wish to obtain a copy of the Driver’s Crash Report you have a maximum of 10 days after the date of the crash to complete the form. Also, Texas law does not allow for online viewing of crash reports.